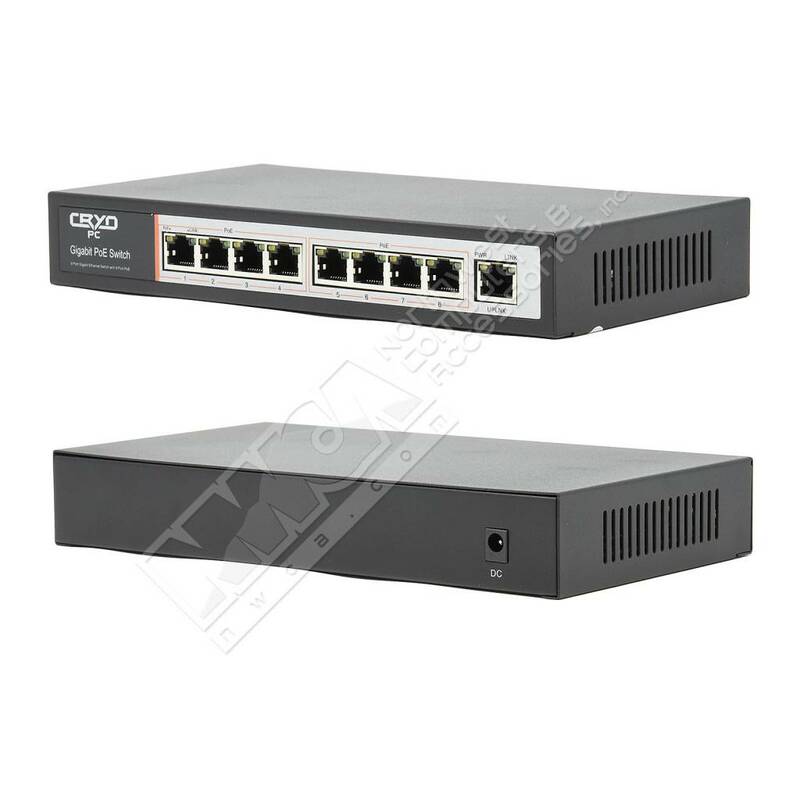 Cryo-PC PUG08 8+1 PoE Unmanaged Switch, 1000Mbps each port,48V 2A External Power Adapter, IEEE802.3af Standard - NWCA Inc.
CPC-PUG08 is 9 port gigabit PoE switch,auto detection and identification IEEE802.3af/at standard PD device, then carry power to it. 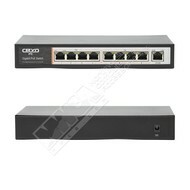 Therefore do not worry it will destroy the private standard PoE or Non-PoE equipment. 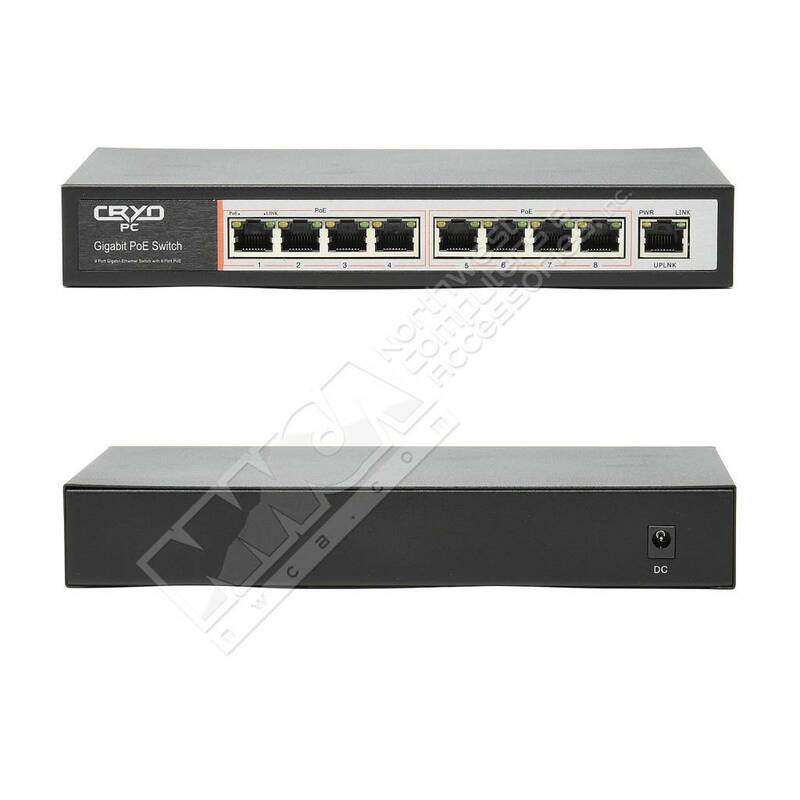 PS1081G is the best choice for minitype commercial network because it economically use PoE deployment wireless AP and IP camera. PS1081G can resolve the problem of maintenance tedious, wireless coverage, terminal device powered, and surveillance project. Maximum save the cost.